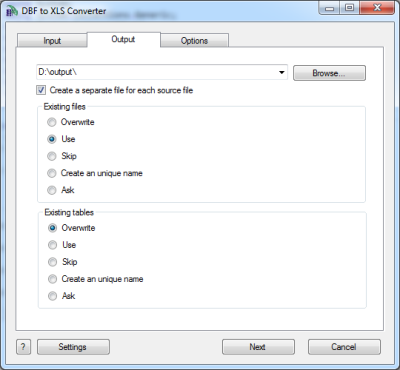 DBF to XLS (Excel) Converter allows you to convert your dbf files to XLS (Microsoft Excel) format. MS Excel up until 2007 version used a proprietary binary file format called Binary Interchange File Format (BIFF) as its primary format. Excel 2007 uses Office Open XML as its primary file format. DBF to XLS (Excel) decides these problems. 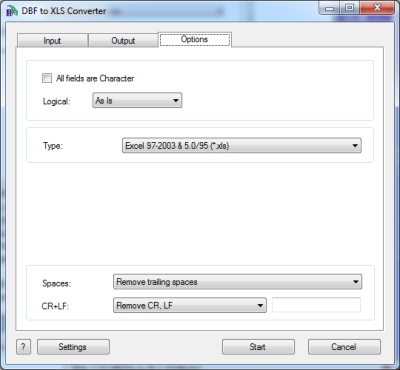 It allows you to transfer your dbf files to XLS or XLSX (Excel 2007) formats quickly and easily. Besides, with Site license you can use our API to convert your data from your own application.